Termites, also known as the “silent destroyer,” can go undetected for so long that they cause extensive damage before you have any indication that they are in your house. They are also pretty commonly found in Arizona homes. So if you’re considering making your home in Arizona, you really should have a purchase agreement that is contingent on independent house inspection findings. These inspections are purposefully designed to find any problems and/or dangers within the home. While traditional home inspectors can help with overall inspections, they are not trained to recognize termite damage – whether it is existing or potential. A licensed pest inspector knows what to look for, especially termites, and should be consulted in addition to a structural engineer, if any damage is found. Often mortgage lenders will require termite inspection reports and structural reports be done before a the finalization of a home purchase transaction. If any termite damage is discovered a seller will often take the findings into consideration and take any means necessary with repairs to ensure the home is protected and secure from termites. 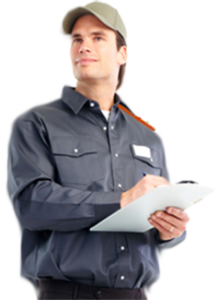 A pest extermination company sends out an inspector to evaluate a property and identify possible past and current infestations and then draw up a termite inspection report. The inspector scrutinizes the entire property – crawlspaces, attic spaces, and entry points for any signs of live or dead insects as well as other indicators of termites such as mud tunnels, exit holes, mazes, and damaged wood or structural components. The report will also include findings of evidence that the house has been previously treated for pests.